Shane's Inspiration, an international nonprofit dedicated to creating inclusive playgrounds and educational programs that foster social inclusion for children with disabilities, is hosting its 15th annual fundraising gala on Saturday, March 5, 2016. The “Carnivàle of Play” theme invites guests to don attire that represents their personal style and creativity. 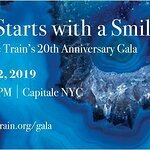 The evening will include celebrity red carpet arrivals, cocktail reception and silent auction, followed by dinner, an awards program and live entertainment. Honorees include Patrick McClenahan, President & CEO of the Special Olympics World Games, and brothers Hunter & Braden Gandee, award-winning special needs advocates. Special guests scheduled to attend include Academy Award-winner JK Simmons (Whiplash"), Actress Pauley Perrette (“NCIS”), Actress & Down syndrome advocate Jamie Brewer (“American Horror Story”), and the Smallest World Champion Salsa Dancers Kevin & Gabby, among many others. Past Celebrity Gala Supporters have included Kaley Cuoco, Jerry O'Connell, Rebecca Romjin, Paula Abdul, Halle Berry, Jamie Lee Curtis, Jill Hennessey, Kathryn Hahn, Laura SanGiacomo, Sean Hayes, Monica Potter, Dakota Fanning and Joe Mantegna – just to name a few! Scott Williams (Executive Producer “NCIS”) and his wife Catherine Curry-Williams co-founded Shane’s Inspiration in memory of their son Shane, who passed away in infancy from Spinal Muscular Atrophy. Realizing that their son would have spent his life in a wheelchair with a disability that would have prevented him from playing on a playground with other children, the Williams decided to create the first fully inclusive playground in the western United States as a tribute to Shane. Since then, Shane’s Inspiration has grown into a global movement with 60 inclusive playgrounds in the U.S., as well as in Russia, Ecuador, Mexico, Israel and Canada. Part of the Clinton Global Initiative, this international nonprofit has 100 additional projects currently in development worldwide. These playgrounds are designed to be challenging and fun for typically developing children, as well as children with disabilities.